SHAWINIGAN, Que. 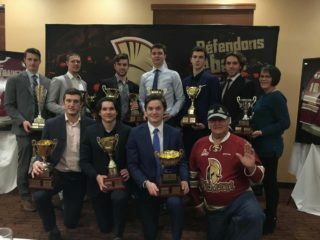 – The process of building towards the team’s next championship run began Saturday with the 2018 QMJHL Draft at the Centre Gervais Auto. With 14 picks in their possession at the beginning of the draft, including three in the first two rounds, the Titan were well positioned to begin the rebuild on the right foot. With their first pick of the draft, 14th overall in the opening round, the Titan selected defenceman Benjamin Roode from the Dartmouth Steele Subaru Major Midgets of the Nova Scotia Major Midget Hockey League. Roode posted 17 points in 36 games with the Nova Scotia champions. The team’s next selection came in the second round when they took forward Alexandre David from Newbridge Academy with the 26th overall pick. In 39 games this season the Pigeon Hill, New Brunswick product notched 29 goals and 43 assists for a total of 72 points. The Titan were scheduled to select in the third round, 43rd overall, but instead traded that pick along with a 2020 third round pick to the Sherbrooke Phoenix for 18-year-old forward Evan MacKinnon. The Sackville, Nova Scotia native was originally selected 19th overall in the 2016 QMJHL Draft by Rouyn-Noranda. With their fourth round selection, Bathurst nabbed forward Olivier Coulombe of the Chevaliers de Levis with the 59th pick. Coulombe finished with 30 points in 36 games this season in the Quebec Midget AAA Hockey League. In the fifth round the Titan took defenceman Zachary Racicot of the St-Hyacinthe Gaulois with pick #89. Racicot posted nine points and was a plus-five in 40 games this season. 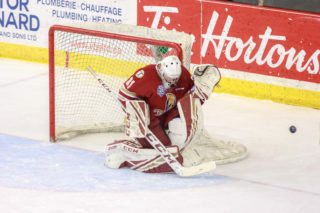 Goaltender Felix-Anthony Ethier was the first of two sixth round selections by the Titan going 96th overall. The native of St-Eustache, Quebec posted a 2.37 goals-against average and a .924 save percentage in 23 games. Their second pick of the sixth round was American blue liner Tom Barbati from St. John’s Prep School. Barbati had no points in seven games in the USHS Prep League this season. 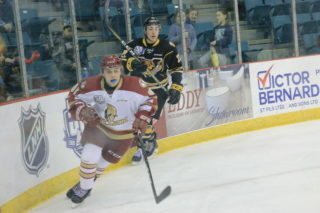 Forward Tomy St-Amand of the Mauricie Estacades was the Titan’s seventh round selection, 125th overall. St-Amand posted 20 points in 26 games games in the Midget Espoir league. With their ninth round pick the Titan went back to Newbridge Academy and took defenceman Kyle Lynch. The Conception Bay South, Newfoundland product finished with 12 points in 29 games this season. 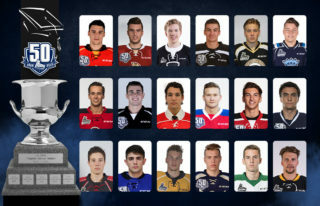 The team’s next two selections were a pair of centermen in Charles Locas of the Laval-Montreal Rousseau-Royal and Robbie Dowell of the Valley Wildcats. Locas notched nine points in 40 games while Dowell finished the year with 41 points in 35 games. In the 13th round the Titan selected Halifax Macs netminder Alec MacVicar 233rd overall. The Dartmouth, Nova Scotia native had a strong season with the Macs posting a 1.69 goals-against average and a .940 save-percentage in 18 games. To round out their 2018 draft class Bathurst used the 250th pick to add a local product, defenceman Frederic Castonguay of the Northern Moose. 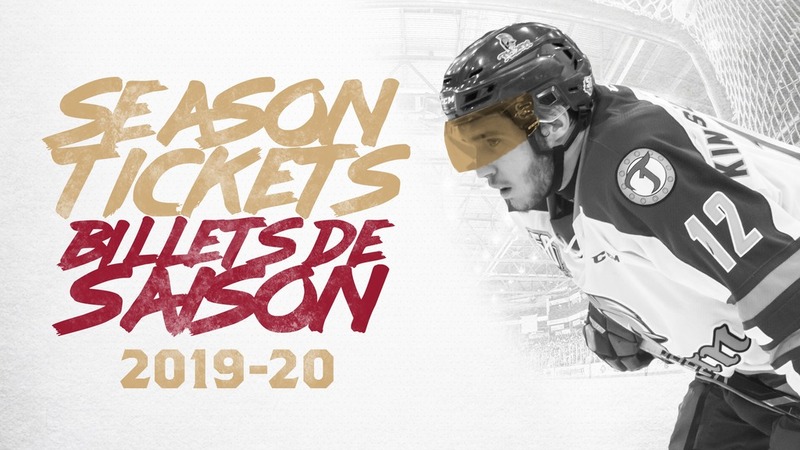 Castonguay finished with 17 points in 21 games with the Moose and also appeared in four games with the Campbellton Tigers of the Maritime Junior A Hockey League. Monday morning the QMJHL held its first-ever American draft. Each team selected two U.S. junior-aged players throughout Massachusetts, Maine, Rhode Island, New Hampshire, Vermont and Connecticut. With their first selection, 17th overall, the Titan took forward Ryan Corcoran from the Boston Advantage U16 team. The Duxbury, Mass native notched 14 points in 21 games this season. Forward Nick Capone was the team’s second round pick, 35th overall. Capone, who is committed to the University of Maine, finished with 29 points in 27 games with Salisbury Prep in the USHS Prep League.